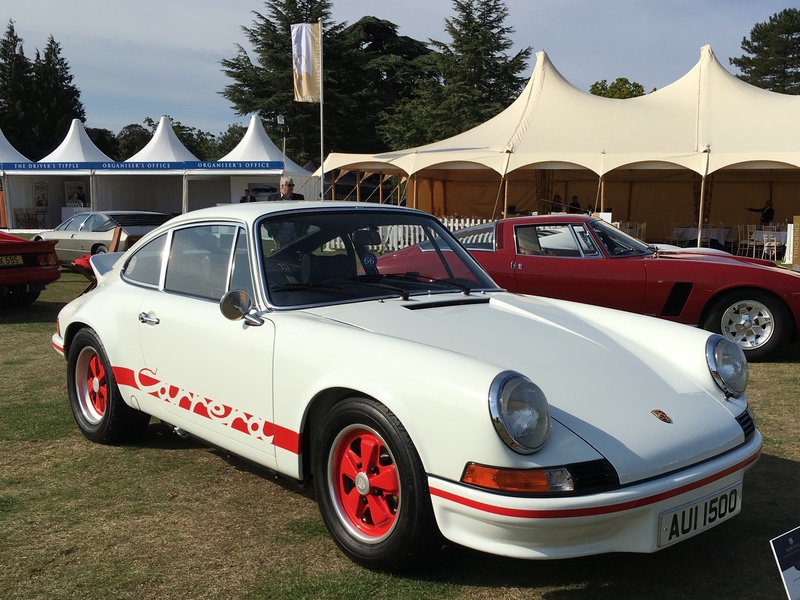 It’s ever so hard when you love cars and design as much as I do to narrow down from 100s to just 10, but I have achieved this, so here are my top 10 cars from Salon Privé 2018. I hope you like them, and let me know what you think below. Just superb in every way. We love it. We think it was the very best car on display and the judges nearly agreed with me. This car came runner up in the Concours D’Elegance. 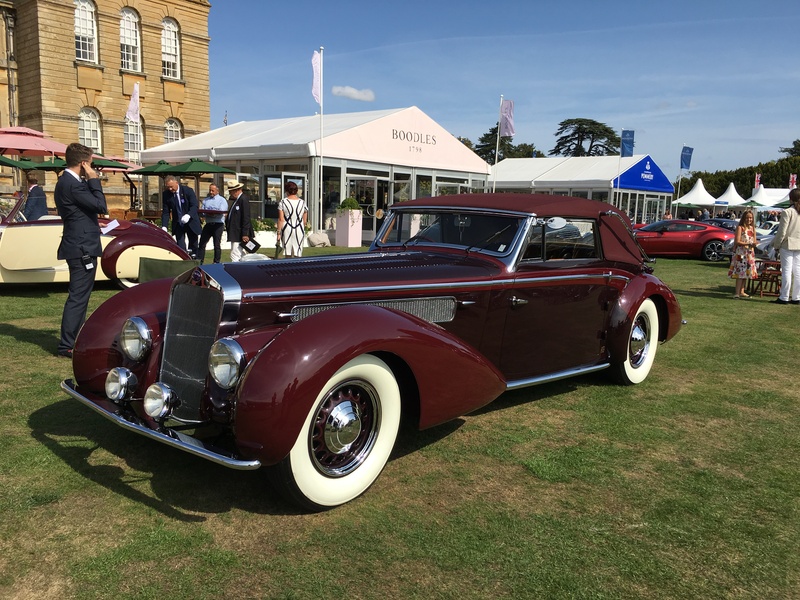 Delivered as a running chassis to celebrated Parisian coachbuilder Henri Chapron in June 1939, this eight-cylinder Delage D8-120 had a colourful early life. During the war the Delage was repeatedly appropriated by a French General of the Vichy Government who was a German Collaborator. Post-war, in 1946 the General sent the car to California, but was unable to obtain a visa for himself, so he went to Argentina and sold the car to RKO Studios. In Hollywood, the car’s arresting styling earned it roles in a number of movies, including the 1951 classic, An American in Paris. The film’s producers commissioned changes to the car’s design, including tail light modifications and new green coachwork, Chapron himself being involved in the alterations. The film showed Gene Kelly being chauffeured around Paris in the Delage with actress Nina Foch. Once the movie was completed, the D8-120 was acquired by a member of the RKO Studios production team, who took the car in lieu of the $15,000 severance pay he was owned by RKO. You can take a walk around this car here. Now we love this car so very much, and for us we fluctuate between this and the Aston Martin DB4 GT Zagato as the most beautiful car of all time. I have to tell you that this particular Ferrari 250 GT Lusso (Chassis No. 5697 GT) looked exceptional, and I would bet looked better than the day it left the factory. Absolutely stunning. Jaw dropping beautiful. The Ferrari 250 GT Lusso is widely regarded as one of Pininfarina’s masterpieces and one of the most beautiful cars ever to leave factory gates at Maranello. A total or 350 examples were produced from 1962-1964 and this particular car is one of just 22 UK RHD models. 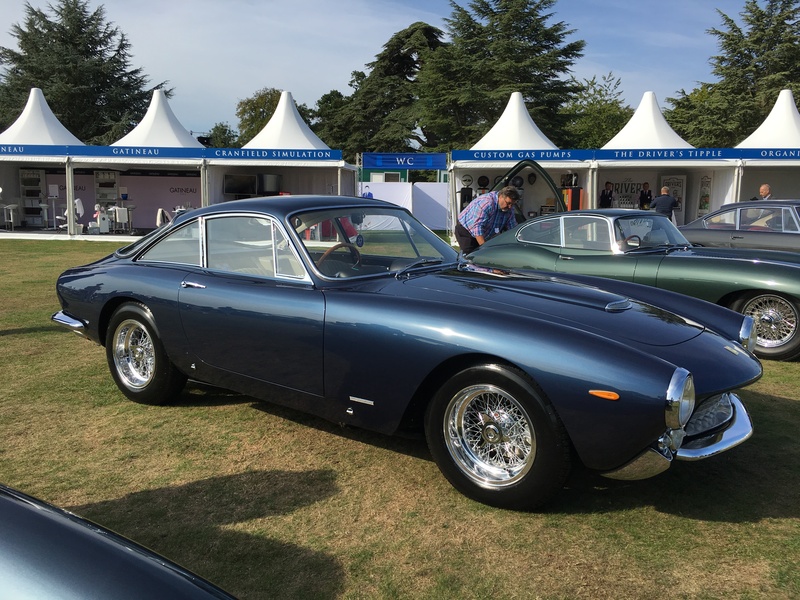 It was supplied new by Maranello Concessionaires Ltd in April 1964 with a blue Sera exterior complemented by a grey VM 3230 leather interior. The second registered keeper purchased the car from Maranello Concessionaires in the autumn of 1964 simply refusing to take delivery until they repainted it ‘Racing Red’. Following the first two owners, the car remained in the ownership of one family for the next 48 years. Over the years it has entered a number of concours events, along with club races and hill climb competitions. The current custodian has dutifully had the car completely restored by Barkaways to the original attractive colour combination of Blue Sera with a grey leather interior. Stunning. Created by the gifted ex-Ferrari and Lamborghini engineer Giotto Bizzarrini, the brutish 5300 GT was his first eponymous car with this Chevrolet V8-powered project stemming from a long and complicated relationship between Bizzarrini, designed Giorgetto Giugiaro at Bertone and ISO sports car maker Renzo Rivolta. This trio worked together to create the low-slung ISO Rivolta 300. 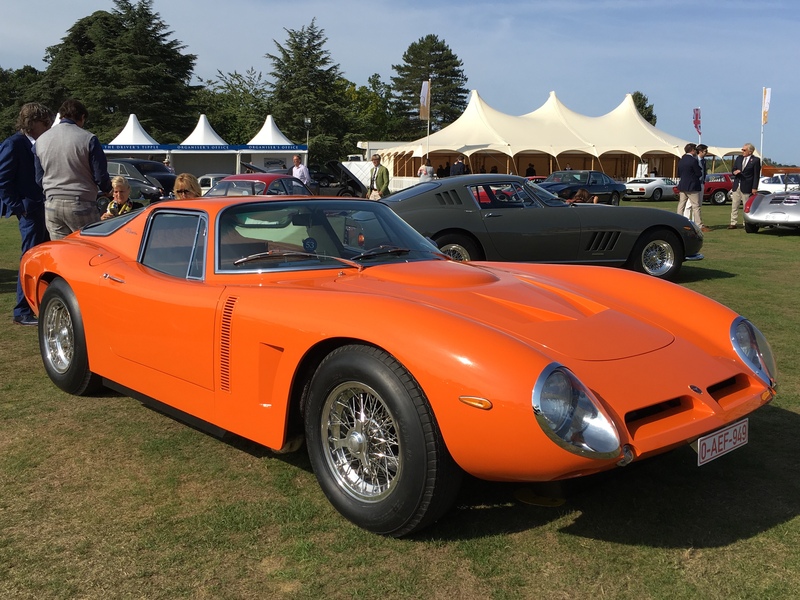 Due to the sporting nature of the advance welding sheet steel monocoque chassis and the reliability of its American power, Bizzarrini wanted to go endurance racing, but Rivolta disagreed. Truncating a complex story, the 1963 Giugiara-styled Rivolta 300 concept became the ISO Grifo A3/C, but after just 25 cars and Rivolta’s refusal to go racing (and subsequent death), the model became the Bizzarrini prototype race cars and modified the 5300 with a lightweight fibreglass body. The BA4 5300 GT was the road-going version of the fibreglass race car, named America or Strada, depending on market, with less than ten BA$s built. For us this would have been our choice for winning the category “Streamlined closed sports cars”, but this was won by a 1965 Ferrari 275 GTB. Absolutely stunning. A new car marque on me, and this is very very rare. This avant-garde Steyr 220 began life in November 1938 as a rolling chassis, built in the Steyr-Daimler-Puch factory in Austria, from where it was transported to respected German coachbuilder Gläser-Karosserie in Dresden to be fitted with its hand-crafted streamlined Cabriolet coachwork, of which no two bodies were the same. After leaving the Gläser works in March 1939, this particular automobile was displayed at that year’s Berlin Motor Show, where the 2.2-litre Steyr was bought by the Austrian consul for Latvia. After the war, the car belonged to the famous Russian surgeon and politician Viktor Kalnberzsm before the present owners purchased the unrestored Roadster in 1994. The all-steel bodied Steyr then underwent an extensive 20 year restoration. Each component was restored strictly in accordance to original documents and designs, with every single part of the vehicle thoroughly examined, cleaned and repaired to recreate this striking, rare and unique motor car. This car featured in class H. “Wind in your hair”. For us this would have been the MyCarHeaven winner. 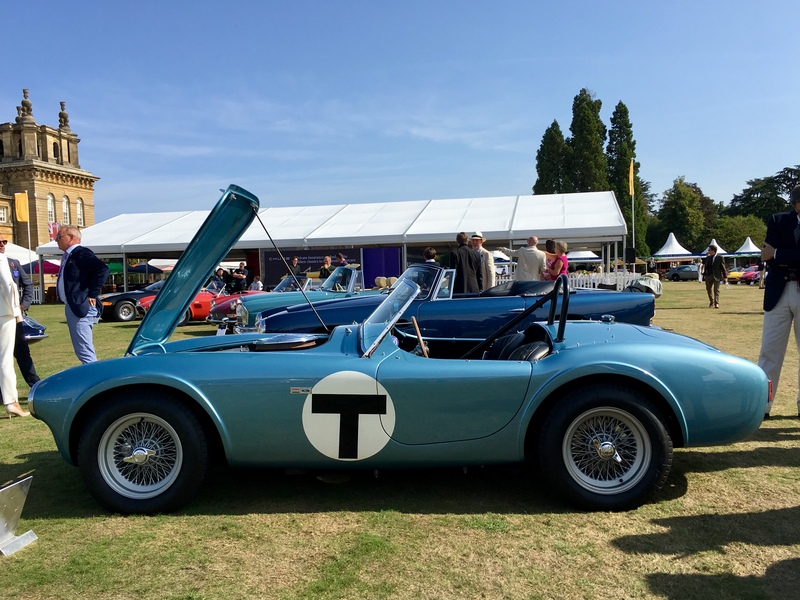 Conceived by the Texan chicken farmer turned racing driver – Carroll Shelby – the raw-energy Cobra was born out of the refined and very English Bristol-powered AC Ace, with a huge American Ford V* Motor shoehorned under the AC’s bonnet. Although the displacement of the Ford V8 was more than twice that of the 2-litre Bristol straight-six, with the initial 260 bhp power almost double the Bristol’s output, the Ford unit weighed less, and modified rear suspension, the AC chassis coped with the gutsy V8 remarkably well, creating an instant legend in the process. This is the fifth example built of the cult Anglo-American Cobra, plus the first to be sold at retail. Its initial owner had technical issues with the car and traded it back to Shelby America for chassis number CSX2151. Subsequently, this Cobra was repainted from its original white/red and featured in the film The Killers with Lee Marvin, Angie Dickinson and the later President of the United States, Ronald Reagan, before becoming a trainer car for the Shelby School of High Performance Driving. This aerodynamic Lancia is believed to be the sole survivor of just three 4th-Series Asturas bodied in this Cabriolet style by Carrozzeria Boneschi of Milan. One of Lancia’s most important pre-war models, the Astura Series IV featured an admirable narrow-angle 3-litre V8 engine, mounted on a long wheelbase platform chassis and attracting some of the finest coachwork of the period, the model being used extensively as official transportation by Italian government departments in the 1930s. Originally owned by a Belgian coal-mining magnate, this Lancia was laid up throughout WW@ and kept in safe long-term storage by the owner’s widow during the 1950s. 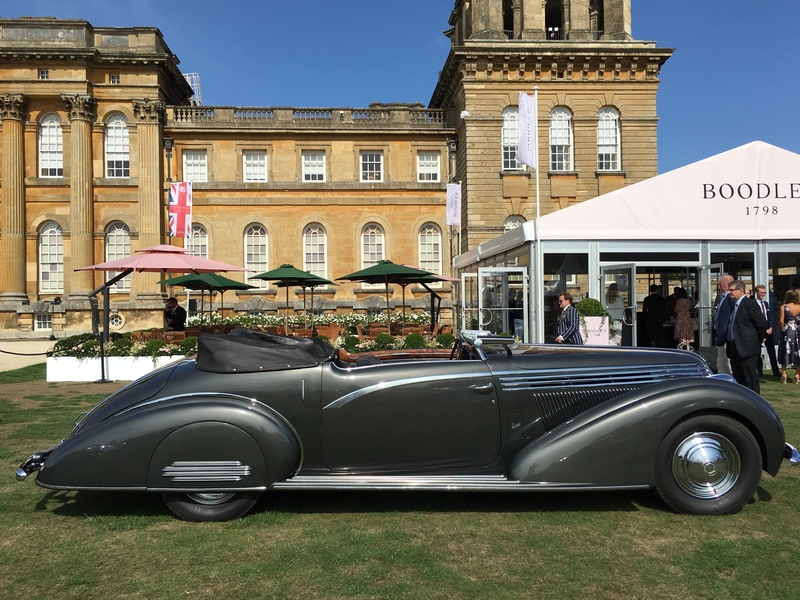 Apart from a repaint in the original dark grey colour, the Astura is still totally original, including its plush black leather upholstery and the grey electric convertible hood, quite an innovation for the 1930s. Delivering sports car performance and roadholding, delivered in a quiet, effortless manner, the luxurious Astura was a true ‘Gran Turismo’ before the term was invented. Stunning, stunning, stunning. This looked as good as new. The Lamborghini Miura is the car that invented and defined the term ‘supercar’ when it was launched to huge gasps and fanfare in 1966. Although launched some years behind the first mid-engined sports car (the 1962 Rene Bonnet Djet) the Miura was the first true powerful performance road car to adopt this mid-ships layout, with 764 examples being built before the model was replaced by the equally dramatic Bertone-styled Countach. The most prolific of all Miuras (338 built) this 1971 ‘S’ model (the P400 S having its power raised from 350 bhp to 360 bhp, with various cosmetic updates) was ordered new by musician Rod Stewart. He owned this car, as well as another later Miura SV, reportedly bought with some of the proceeds of his chart success of the popular song Maggie May. 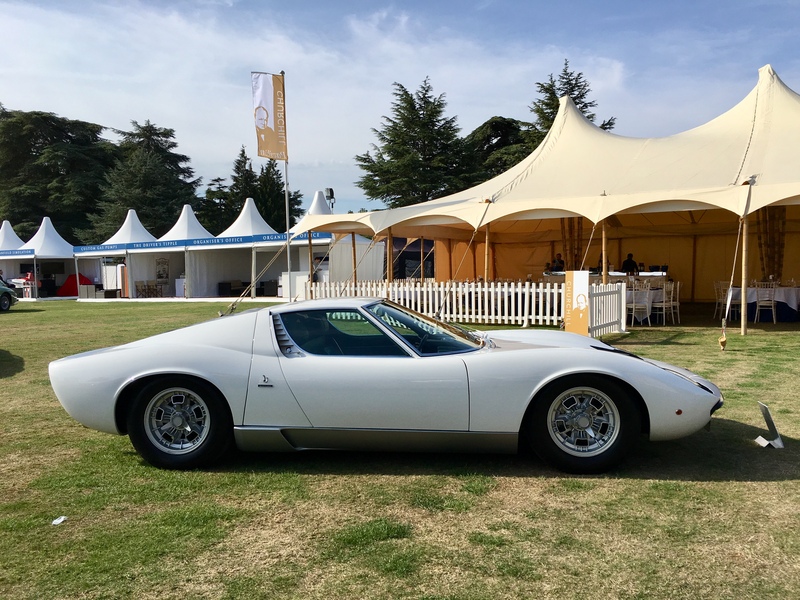 This RHD Miura underwent a full Polo Storico Lamborghini factory restoration, back to its original white colour with black interior, with the V12 engine also fully rebuilt, including 12 pistons and a new crankshaft. A favourite Supercar of ours, and this one looks brand new. Wow. 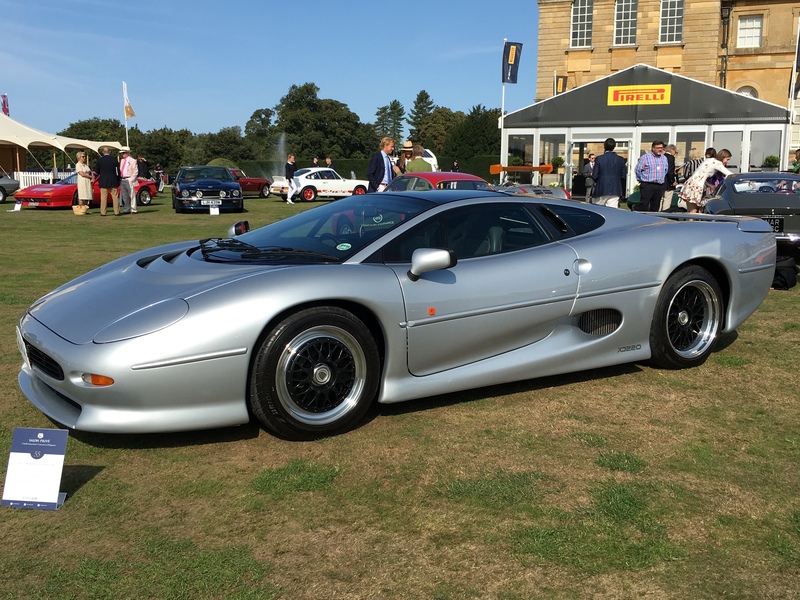 The brain child of jaguar’s Jim Randle and famously developed by the ‘Saturday Club’ – twelve Jaguar Designers and engineers who gave up their spare time to create the XJ220 – the car was unveiled to an excited public at the 1988 NEC British International Motor Show. The mid-engine V12 XJ220 concept met with such positive reception, it prompted Jaguar to put the car into production, with around 1500 deposits of £50,000 each taken and first deliveries planned for 1992. Engineering requirements resulted in significant changes to the XJ220’s specification though, with the Group B rallying MG Metro 6R4 turbocharged V6 engine replacing the jaguar V12 and the planned all-wheel-drive dropped. The specification changes, plus a tougher economic climate, resulted in most buyers choosing not to exercise their purchase options, and a total of just 275 cars were finally produced. This XJ220, car number 186, was delivered new to singer Rod Stewart in February 1994 and has now only covered just over 6000 miles in 24 years. What a beautiful looking car.  For more information on Porsche feel free to go here. For more information on the Porsche 911 feel free to go here. I know the Ferrari purists will not like this car, but I’m a Ferrari purist, but I was drawn to this car, and we do love it. What do you think? 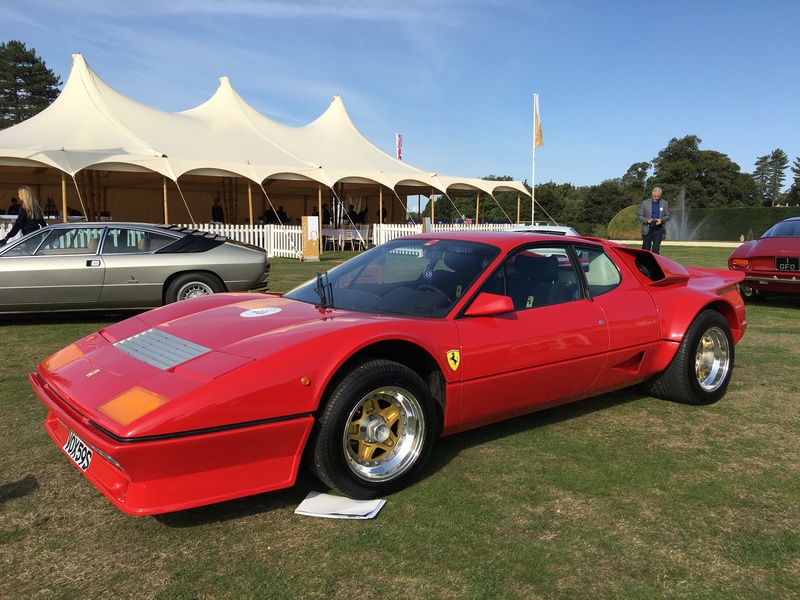 The car was originally purchased by a German industrialist through the Ferrari concessionaire in Bolzano, Italy, in May of 1978 and registered in Germany. The car, being one of the late series carburetor models, was one of Willy Koenig’s first conversions and was modified in 1982 to fuel injection and twin 60 Rajah turbos, Mahle pistons and a racing exhaust as part of extensive modifications to provide enhanced performance. The car changed owners twice, before it was sold to a Spanish gentleman who kept it at a Ferrari concessionaire in Valis, Switzerland. The car couldn’t be road registered due to stringent Swiss emission controls, so the owner took it on short drives on temporary ‘garage plates’. When the current owner bought it in 2013, it had a number of issues, including fuel surge and hot start which were successfully addressed by marque specialists Hoyle-Fox, so that it now a joy to drive. 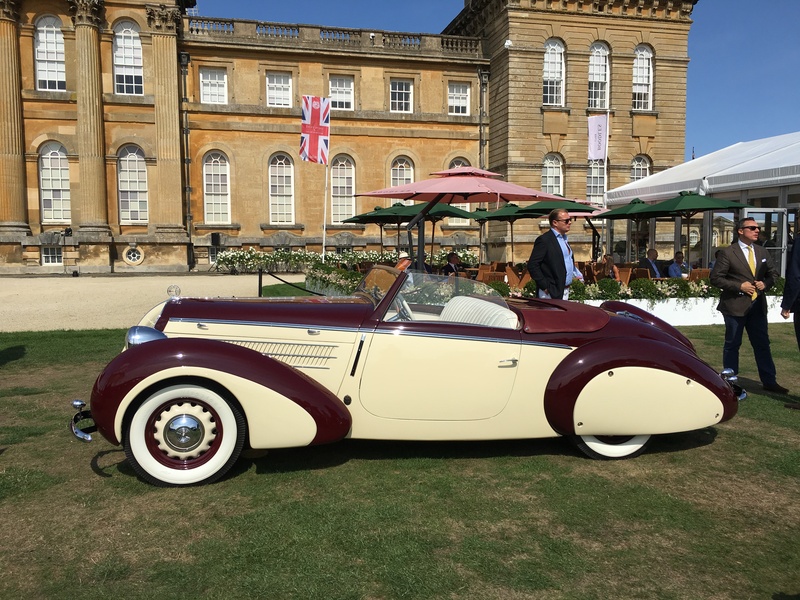 So there you have our Top 10 Cars at Salon Privé 2018. There were of course many more beautiful cars on display, all of which you can see in our full Salon Privé album.